Corrosion is considered one of the main reasons why reinforced concrete and prestressed concrete structures deteriorate around the world. 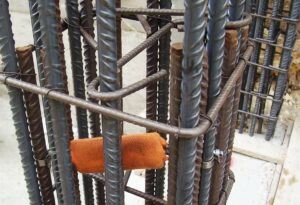 The number of RC buildings grows rapidly around the world and this is why demand for easily applicable, practical and effective rebar corrosion methods is on the rise too. 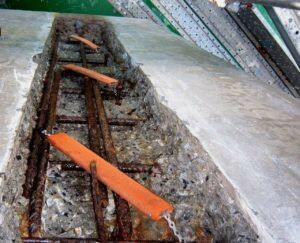 The Galvanic Anode protection systems utilize sacrificial anodes that naturally generate an electrical current to mitigate corrosion of the reinforcing steel. Zinc has a lower (more negative) potential than steel, so the Galvanic Anode provides the current to inhibit the corrosion of steel in concrete. Galvanic cathodic protection systems, which use sacrificial anodes, have recognized advantages of simplicity and reliability, and have recently become available as a viable alternative to ICCP. Unlike ICCP, galvanic CP systems require no extensive wiring or conduit, and no power supplies. Their inherent simplicity greatly reduces the need for ongoing monitoring and maintenance. 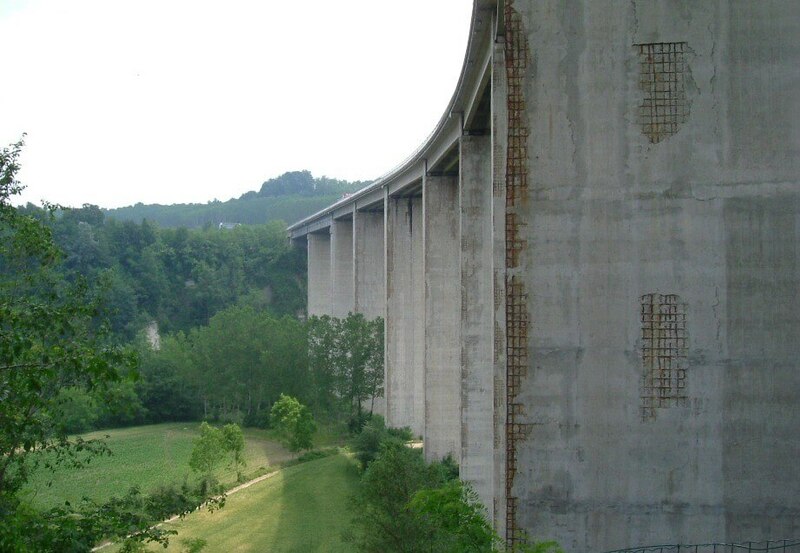 In concrete structures, zinc anodes are typically used both for maintenance and new structures. A wide range of zinc anodes specifically developed for concrete applications are available.